There are so many questions relating to Debt Agreements. Our team is more than happy to discuss your personal circumstances and how a Debt Agreement will assist and affect you. 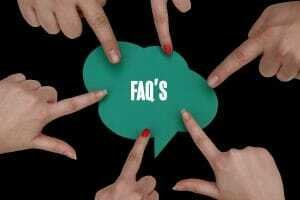 To help, we have listed your frequently asked questions on how a Debt Agreement proposal will help pay off debts. What types of things will Life After Debt® help me with in proposing a Debt Agreement? Life After Debt® will meet with you to calculate a household budget, identify and list your assets and liabilities and determine a realistic amount that you can afford to repay to your creditors in the future. With extensive experience in finding debt solutions Life After Debt ® has a thorough understanding of what your creditors want. Life After Debt® can then assist you in completing the prescribed information forms that are required for lodgement and, if your proposal is approved by creditors, Life After Debt® can also act as your debt agreement administrator. What is a Debt Agreement proposal likely to involve? The proposal may involve you making regular payments to repay unsecured creditors over a longer period of time (say 3 to 5 years) in a situation where interest charges are stopped. All secured debts must be maintained separately. This may involve you paying less than 100% of the unsecured debt due to your creditors. Life After Debt® works with its clients to determine the proposal that best fits with their personal circumstances and that will be acceptable to creditors. Once your Debt Agreement proposal is developed and supported by the relevant information, your proposal is circulated to your creditors for approval. What are the advantages to me of proposing a Debt Agreement to my creditors? There are several advantages in proposing a Debt Agreement to your creditors. Once approved a Debt Agreement will avoid bankruptcy, and many of the restrictions and stigma that go with bankruptcy, which will be the main benefits to you (as long as you keep to the agreement). Other benefits include the fact that you will have clearer and affordable future commitments without the constant threats from creditors that are owed money. You will also avoid the Court process associated with bankruptcy and have the opportunity to be released from your debts upon completion and the freezing of debts and interest. Do I meet the qualifying criteria to propose a Debt Agreement to my creditors? Had a debt agreement or proposed a Part X (personal insolvency agreement) within the previous ten (10) years. Have an income, divisible assets and debts less than set threshold amounts. These amounts are indexed twice annually in line with CPI. Why would my creditors want to accept my Debt Agreement proposal? Under a Debt Agreement, your creditors are likely to receive more of their debt back than if you went into a Part X or Bankruptcy. Additionally, costs to the creditor are generally lower than if they were to seek repayment of the debt themselves. Creditors may also give weight to the fact that you are making a genuine effort to repay the most you can afford in the circumstances.